These sleek, sophisticated and light-weight handsets paved the way for the iPhones and S4s of today, we’ve taken a closer look at them. Back in the 1980s there was a bit of a revolution going on; it involved talking while you were walking. Yes the mobile phone, so often taken for granted today, began to slowly creep into the public’s consciousness in the 1980s. 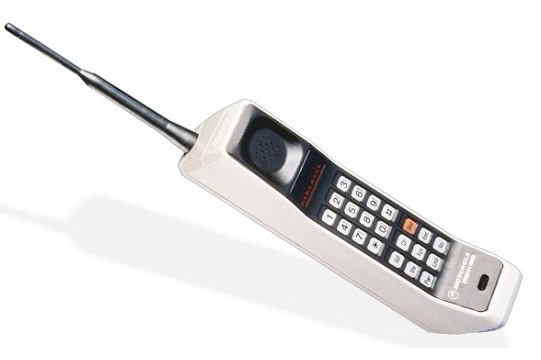 Technically, portable phones were already around but they were limited to your car and required a pack the size of a small child then the Motorola DynaTAC 8000X (above image) was launched and phones were changed forever. The phone was available in three cheery colour schemes of dark grey, tan and white or tan and grew and it boasted an LED screen and touch-keys! 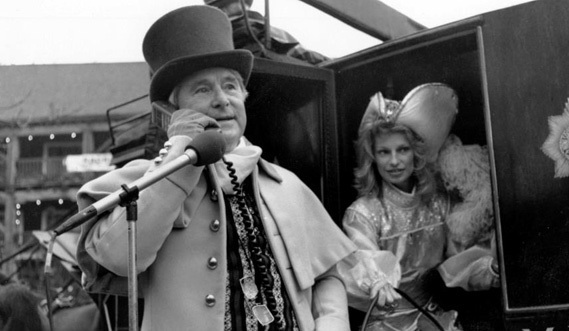 Skip forward a couple of years and the UK was soon getting in on the act when on New Year’s Day 1985 Ernie Wise made the first mobile phone call in the UK, here’s a picture of him doing it – quite why he is dressed like an 18th century gent I don’t know. Back then there were two networks available; BT Cellnet and Vodafone, who between them had about 56,000 customers – most of which were well off. It wasn’t too long before the mobile phone became a status symbol amongst executives and city traders, something that was added to when the film Wall Street emerged when the iconic character Gordon Gekko placed a call from his Motorola 8000x. 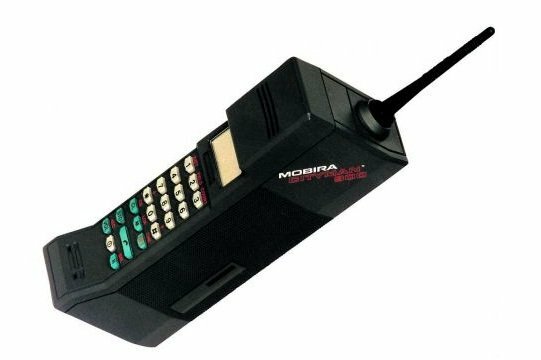 After we had the 8000x there was a challenge made not from the US or the UK but from Finland where Nokia got in on the act with the Mobira Cityman, which may not look like a lot right now but back in the 80s it was a trendsetter in terms of style and design. It’s two tone look was deemed highly stylish and amongst a limited marketplace in terms of choice, it soon became the must have handset. Nowadays, as you may have noticed, pretty much everyone has a handset of their very own but they all owe a great deal of gratitude to these trailblazing ‘brick phones’ which got the ball rolling and made mobile phone talking while walking commonplace.